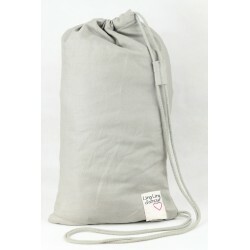 Your Ling Ling d’amour wrap made in organic cotton (GOTS label) lets you to carry your baby close to you and reassure her : it is the perfect babywearing tool from birth. 7,50€ discount on your 1st order (*) ! Ling Ling d'amour’s Ring Sling de Ling Ling d'amour made with certified organic cotton (GOTS label), it is the ideal complementary carrier from birth to walk.Discreet and fast, the Ring Sling turns out to be essential for daily carries (errands, school runs…), letting you keep both hands free. The P⁴ soft-structured carrier is an ergonomic back pack style baby carrier. 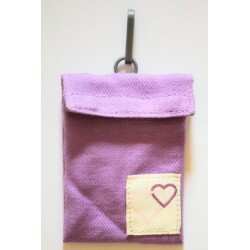 It is made using our organic cotton (GOTS label) wrap fabric. The Mid-Taï is LLA’s minimalist mei-tai baby carrier made with 100% organic cotton fabric (GOTS label), designed for those who want to combine a feeling close to that of a baby wrap and a greater ease of use. Ling Ling d’amour’s « hybrid » carrier made with certified origin organic cotton (GOTS label) : a clever mix between a soft-structured carrier and a mei-tai. Its mixed shoulder straps (both padded and spreadable) are tied on while its belt is fastened using a buckle. Discover the Mid-Tai+, our new organic cotton (GOTS) baby carrier, inspired by our flagship product, the Mid-Tai. 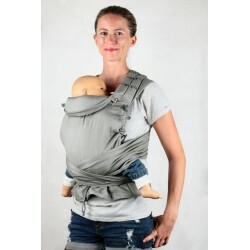 More convenient, more evolutive, the Mid-Tai+ features very ingenious design details to make babywearing easier! 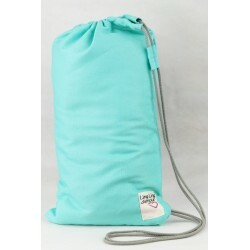 The preschool mei-tai baby carrier by Ling Ling d'amour made with certified organic cotton (GOTS label). 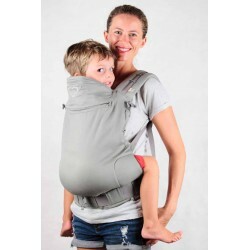 It is designed to carry your child from 2 to 5 years old (max 20kg) on the front or back. Its straps to tie on and its belt make it both very comfortable and aesthetic. The P⁴ preschool is LLA preschool size soft-structured ergonomic carrier designed to carry your child from 2 years old to 27kg max. Made with our organic cotton (label GOTS) wrap fabric. Ling Ling d'amour is THE brand to discover babywearing. You will find on our online shop a wide choice of physiological baby carriers (full-buckle carrier, meitai, half-buckle carrier, ring sling and baby wrap) made with organic cotton (GOTS label) for a rock-bottom price.